When Should You Hire An Automobile Accident Attorney? | Malnar Law, P.C. If you’ve been involved in an automobile accident, you’ll know how stressful the aftermath can be. As well as dealing with injuries and damaged vehicles, you also have to figure out who’s at fault, what you’re entitled to and how to claim. The whole experience can be confusing and frustrating, especially if it’s your first time. Because of this, you may be thinking about hiring an automobile accident attorney to help you sort everything out. But is it always necessary to hire an automobile accident attorney? When is it advisable to get in touch with a lawyer, and how exactly could an attorney help you? In this article we’ll look at some of these circumstances and help you decide when to seek help. Are you entirely new to personal injury claims? If you’ve never had to make a personal injury claim, you may not understand how complex the system can be. Although claiming after you’ve had a car accident may seem pretty straightforward, it often isn’t. There are so many factors which can affect your case, and complicate things. Even if you are sure that you haven’t done anything wrong and that the other party is at fault, that doesn’t necessary mean it’ll be a cut and dry case. If you’re trying to sue a big auto insurance company, they’ll have a huge team of lawyers that have a high amount of skill and experience. Trying to go up against them on your own is not easy, even if you think you’re not at fault. Insurance company lawyers are notorious for twisting things to try and reduce the compensation amount, or even deny the claim. If you have no experience in the area, it’s probably best to hire an automobile accident attorney. Auto accident lawyers are already familiar with the law, the procedure and rules that go with it, and can help you win your case. Not to mention, making a claim after a car accident can take a very long time. Depending on the particulars of your case, it may take anywhere from a few months to several years to settle. As claims take up so much of your time, you may want to leave it to an automobile accident lawyer. That way, they can worry about it and you don’t have to. Not all automobile accidents result in the same type of damage and injury. Sometimes, all your car will need is a new coat of paint and a new wing mirror. Other times, you’re looking at replacing the car completely. Not to mention, the range of personal injuries can span from mild whiplash to permanent disability. If your car survived with only light damage, and your own injuries weren’t too severe, you may be able to navigate making a claim by yourself. Generally speaking, the smaller the claim, the easier it is to get by without hiring an automobile accident attorney. However, not everyone is this lucky. If your car was written off, and you’ve sustained severe injuries, the last thing you want to be worrying about is filing a claim. In this scenario, you’d be better off hiring a lawyer to take care of everything. After all, personal injury claims can last months or years, and take up a lot of your time. If injury and stress is already making your life difficult, why make it worse? Severe injuries often require months of physiotherapy, bed rest, and sometimes even psychological counselling. Hiring a lawyer to worry about all the legal proceedings for you can take a lot of the stress away. It allows you to sit back and recover in peace. Sometimes, after an automobile accident, you may be absolutely sure that you were not at fault. If you were stationary at a stop light, and a drunk driver smashed into the back of your car, it’s fairly clear where liability lies. As long as you can prove that you did nothing wrong, you might be able to claim without a lawyer. For example, you may have footage from a dashboard camera, or a police report stating the other driver’s intoxication. However, not all accidents are this simple to figure out. Often, there are multiple, layered factors that result in an accident. It’s very common that both drivers were doing something wrong when the accident occurred. For example, lots of accidents occur when a driver changes lanes suddenly. They may be at fault for this, but the other driver may also be at fault for not having looked in their mirror and noticing them. 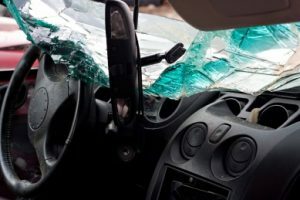 In cases like these, when liability is unclear, it’s the job of an automobile accident attorney to try and prove that the other driver was more at fault than you were. This can be extremely tricky, and is best only attempted by those with training and plenty of experience. Lawyers are expert at gathering and presenting evidence in your favour. Insurance providers can be quite tricky to claim from. It’s hardly surprising, really. After all, it’s how they make their money. If insurance companies handed out compensation to everyone who asked for it, they’d likely all go bust! They rely on blurring the boundaries to try and prove that the person trying to claim is at fault. If you try to claim from an insurance company and they refuse to pay out, you may choose to bring the case to court. Trying to settle a claim in court is a different ballgame altogether. If you choose to represent yourself, you have to prove beyond doubt that the other party is at fault. This is a difficult task to achieve if you aren’t familiar with court proceedings or well-versed in legal babble. If the other claimant’s insurance provider do not accept their liability, they’ll try their hardest to prove that you’re at fault. This could lead to you having to pay damages rather than having them paid to you. Instead of trying to tackle this yourself, hire an automobile accident attorney. They’ll do all of the hard work for you, and use their skill to prove the other party’s fault. If you want to find out more about what an automobile accident attorney can do for you, and get the ball rolling, contact Malnar Law, P.C. today!